Dealing with uneven skin is downright annoying. Discoloration makes it near impossible to achieve smooth, single-toned skin even with tons of makeup, and even then you’re left with blotches ending in a mismatched nightmare by the end of the day. 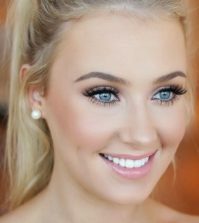 Ladies, struggle no more: we’ve come up with an astonishing list of 12 easy, extraordinary makeup tips that will make your uneven skin glow- with just one color. The majority of our skin problems begin with the dirt, grime, and other disgusting molecules that inhibit our skin each and every day. It is so important, especially when you have uneven skin, to make sure you’re using a face cleanser regularly. You should also incorporate masks and peels into your weekly routine to get rid of extra grime hiding underneath. 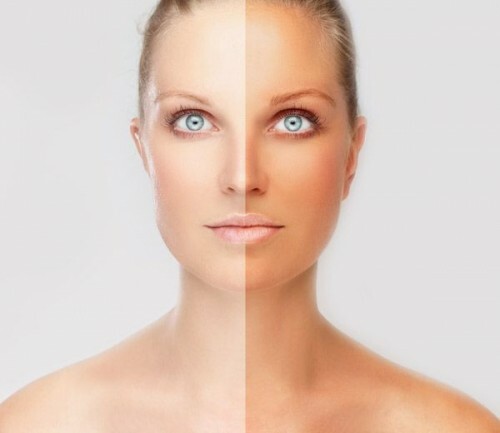 Sometimes uneven skin tone is a result of too many dead skin cells living on top of the skin. The best way to get rid of these cells is to exfoliate regularly. Exfoliating will not only help with uneven skin tone (and prevent worsening of the condition), but will leave your face feeling silky smooth. If you’re applying a moisturizer to your face, that’s great. But if it doesn’t contain any sunblock, you’re seriously missing out. We all know how terrible the rays of the sun can be on our skin, so making sure you’re applying SPF before your makeup will make sure your skin is protected and also help prevent further discoloration of the skin. I can’t tell you how amazing dark spot corrector is if you’re really struggling with some serious discolored spots. You simply dab the corrector onto your uneven skin, and like magic, it works to hide discoloration and even out skin tone. Women with uneven skin absolutely must use primer. It is the foundation of your makeup that will ensure the rest of your makeup routine will go on smooth and stay on all day. There’s lots of different primers out there, but try to find a primer that is specifically designed to help even out skin tones. You will notice your face appears more even only seconds after applying, so it’s definitely a great base for makeup. 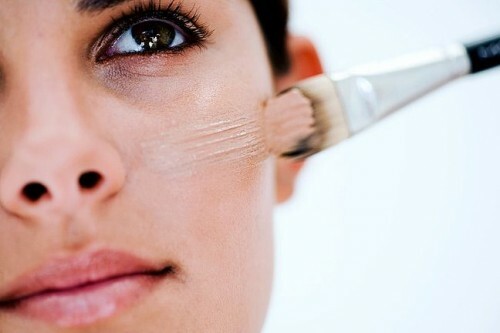 Concealer is undoubtedly a very handy tool, just make sure you’re buying a product that matches your skin color. Remember: we are trying to get rid of our blotchy, discolored skin problem, not add more or make it more noticeable. Dab the concealer on your discolored skin patches, but don’t rub in. Continue on to step 7. Just like any other makeup routine, the next step after concealer is foundation. But don’t just buy any old foundation. Try and seek out foundation that is specifically designed to work for uneven skin tones, and make sure you’re buying a product that matches best to your skin color. Apply the foundation and use a thick brush (kabuki brush) to blend the foundation and concealer together for a more even skin tone. Adding some depth to your face will make discoloration less noticeable. And when I say ‘add some depth’, I mean applying bronzer and highlight. Bronze around your jaw line and highlight around the eyes and cheeks for a very captivating look. 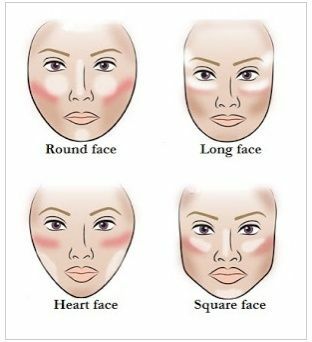 (The guide above will help you with ‘contouring’). Just like using the right amount of bronzer and highlighter is important, you can’t leave out the blush. Adding blush to your face will not only help hide any remaining discoloration, but will also give your face a perky boost that is vibrant, fresh, and simply stunning. I mean, by now we have conquered the uneven skin tone problem- but you don’t want to end up looking washed out. Choose a blush that complements your skin tone. Browns and deep red for darker skin tones and pinks and apricots for lighter skin tones. Let me put it this way: if you didn’t have powder, it wouldn’t hurt you; but it definitely wouldn’t help you, either. Powder is one of those makeup products that have a tendency to be overlooked by the makeup community, but it can be a total lifesaver when you’re dealing with uneven skin. When the rest of your makeup is complete, apply a layer of power to ‘set’ the makeup. The makeup will help to blend everything together and help it last all day. Stick a compact powder in your purse to fix up your makeup on the go so you never have to worry about discoloration throughout your whole day. See? It was easier than you thought to get the photo ready face you’ve always dreamed of. Do you struggle with uneven skin that has patches or blotches? What’s your best tips for dealing with uneven skin tone?